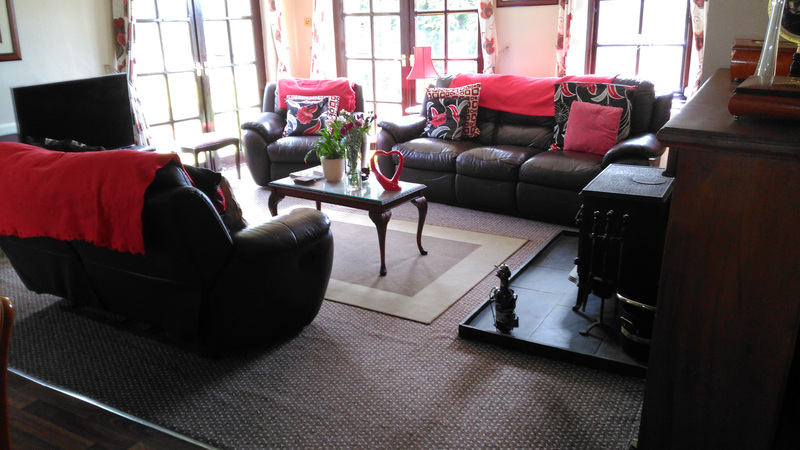 Fron Farm Fishery | 4 Star Bed & Breakfast in Ceridigion, Wales. 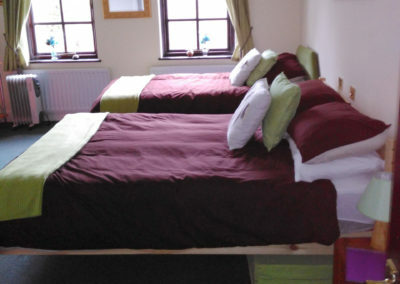 Single Room – £45.00 per night. 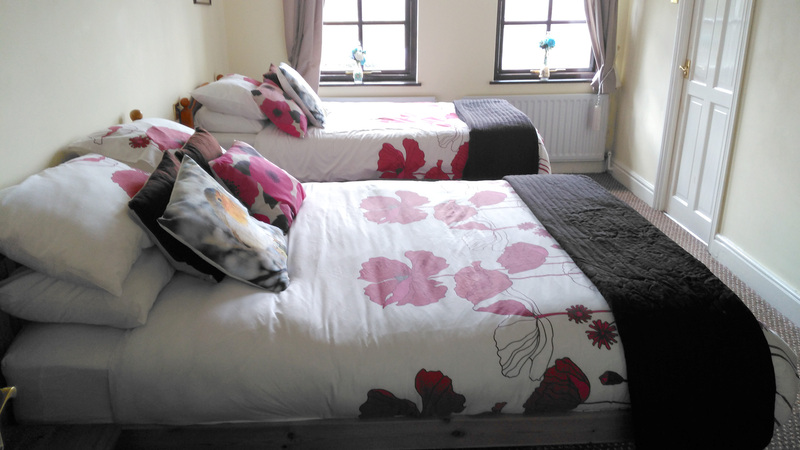 Double Room – £80.00 per night. 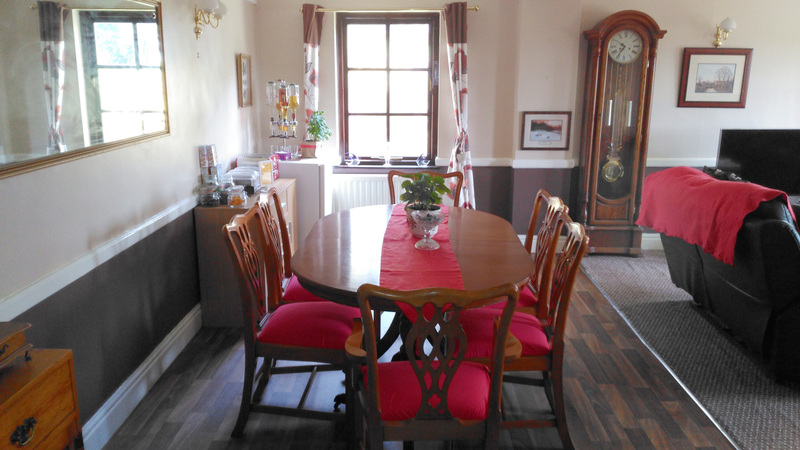 Family Room – £120.00 per night. Fron Farm Fishery is a family run 4* Bed & Breakfast and fishery close to Aberystwyth, Mid Wales, nestling in the beautiful welsh countryside, enjoy our beautiful natural scenery with abundant opportunities to watch the wild life. Within a 30-minute drive in the right direction you could be in either Aberystwyth, Lampeter or Aberaeron. We are an Ideal location if you are visiting the local area and don’t want to stay in the town. 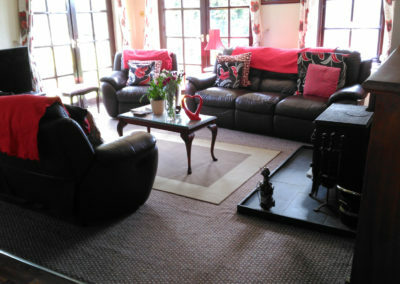 We can offer excellent accommodation in our peaceful and secluded B&B, campsite, or why not bring your touring caravan. We can offer family’s the option of some in B&B the hardier members camping using their own tents, all coming together in the morning for a hearty breakfast in our spacious dining area. Relax in our large spacious lounge with a roaring wood burner. 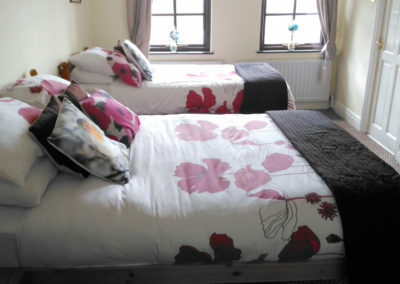 We offer two large double bedrooms, both with en-suite all on the ground floor. Panoramic view of the lakes from your bedroom window. Just think you can be down there within a few minutes enjoying the freedom. All guest’s facilities lead from the large airy hallway which is all on the ground floor, accessed through the main front door which leads directly from the car park. This is ideal for those who have restricted mobility. Our beds are made up with duvets and cotton sheets. Our standard pillows are foam. Blankets and extra pillows available on request. 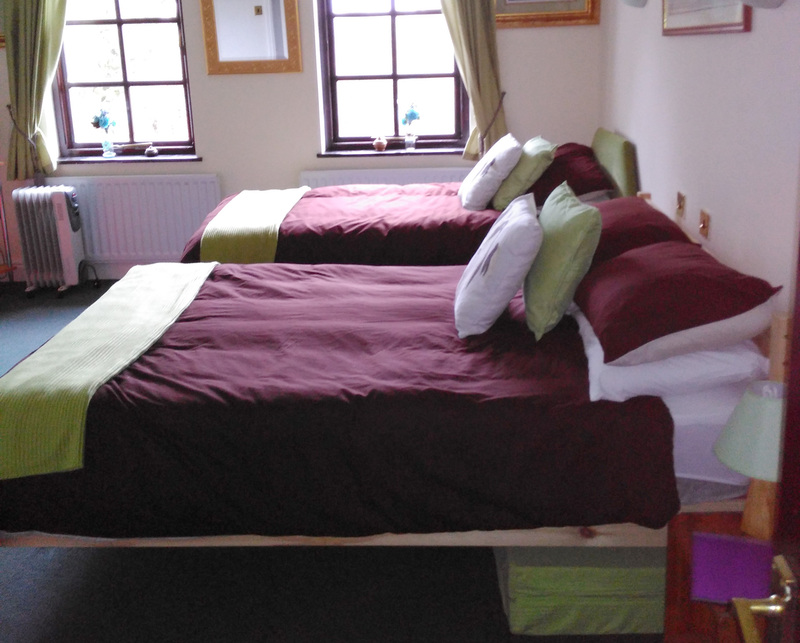 The bedrooms have a standard double bed and a single bed. The room also contains seating area, bedside tables, bedside lamps, hanging space and a chest of drawers. The room also contains a flat screen TV with Freeview and NOW TV, a small fridge, kettle and coffee/tea making equipment. The en-suite contains a toilet, shower with hand rail and basin with soft fluffy towels. An additional child’s bed can be added to the bedroom. A travel cot and bedding is available at no extra charge. An ideal room for any family holiday or short break, whether angler, cyclist, rambler or for those who wish to simply sit back and relax. The rooms are centrally heated, with an additional electric heater located in each bedroom for our guest’s comfort. The guest lounge/dining room is also on the ground floor with access via the hallway located to the right of the bedrooms. 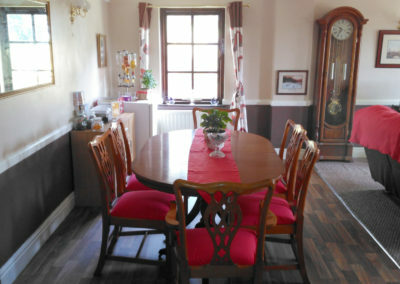 There is a large dining table and chairs, with a spacious serving area. There is also a highchair available on request. There is a wood burner situated in the seating area of the lounge, which has two large reclining sofa’s and reclining arm chair, coffee table and large TV with Freesat for your entertainment in the evenings. Any evening activities have to be driven to, but we do have a excellent local pub and shop in the village one and half miles away. Pets are very welcome, although we do ask for prior notice. Audible smoke alarms are fitted throughout. We adhere to a no smoking policy. Off road secure car parking is available on the gravel drive in front of the house and is lit at night for access. The barn for cycles is located close to the house. There is a level car park to the front door which gives access to hall and lounge area. Guests are welcomed on arrival at the guest entrance. The area is well lit with overhead lighting. Assistance can be given with luggage. Alternatively go to Wales Tourists Online to check our availability.